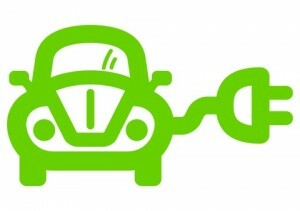 Are Hybrid and Electric Cars Influencing Traffic Flow? One of the interesting things about electric and hybrid cars is what’s called regenerative braking. In a car’s normal braking system the brake pads produce friction with the brake rotors to slow or stop your car. With electric or hybrid vehicles the braking system works differently. When the brake pedal is pushed the electric motor goes into a reverse mode, which slows the car. A side effect of the reverse motion is that the motor also acts as an electric generator, producing electricity, which is fed into the car batteries thus recharging them. These types of brakes work better at certain speeds and in fact, work best in stop-and-go traffic. It’s this recharging system that may be causing an interesting situation. An article published in the Vancouver Sun a week ago or so caught our eye so we thought we’d pass it along. Andrew McCredie, a writer for the Sun, describes how the drivers of electric vehicles may be influencing traffic patterns by continually braking to recharge their car batteries. What happens when they do is that drivers all around them will also apply their brakes, perhaps anticipating a problem ahead. This causes a chain reaction in which lines of cars may slow down simply from observing other brake lights which were originated by an electric or hybrid car driver tapping his brakes. MeCredie mentions a study in Los Angeles a decade ago that attributed much of that city’s famed traffic gridlock to drivers slowing down for no other reason than the driver ahead had applied his brakes. The herd mentality as exhibited on six-lane freeways. So could traffic flow in the future be all mucked up as electric and hybrid car populations increase and drivers continually cause the rest of us to slow down? Or will accidents increase as we all ignore brake lights as just another recharging hybrid?